Birmingham Friends of the Earth are running another comedy fundraiser gig on Wednesday 20 November, at the Glee Club. This promises to be a great evening, with 5 great comedians compered by the brilliant Barbara Nice. More information on the foe website. Now we have TWO cars! 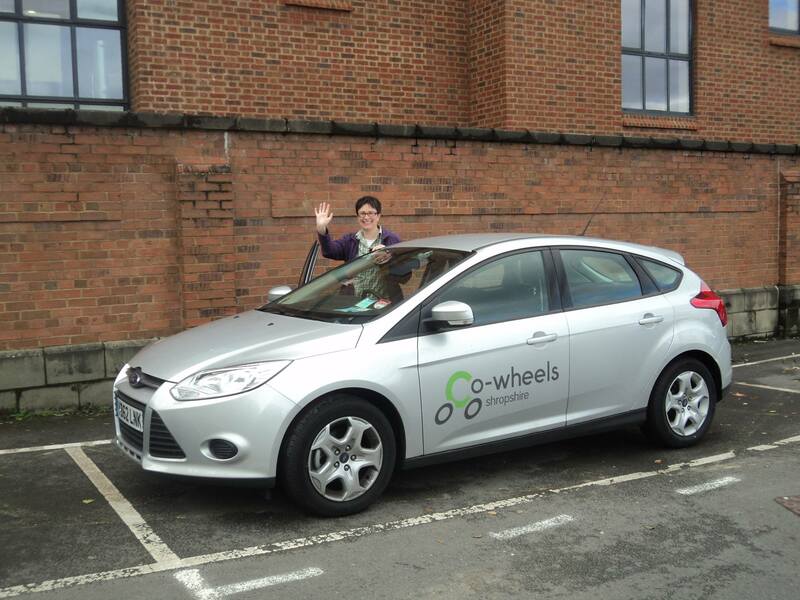 For the next few weeks, we are borrowing a shiny silver Ford Focus Ecoboost from Co-wheels Shropshire. She is kept parked on Ribblesdale Road, Stirchley with KaTie, our black VW Passat Estate. The Focus is zippy and easy to drive/park. Fancy driving her? Join Co-wheels today! Use promo code brum (valid until 30th November 2013) and registration is FREE! Have you spotted KaTie yet? She is based in Stirchely and available to drive NOW! These prices include VAT, comprehensive insurance and fuel. The winner, chosen at random, of a £20 voucher for Stirchley Stores was Zara Losch. Happy shopping, Zara!